The following list of Services are available to our valued customers. Each service compliments the wide range of products we offer to bring you the best solution possible. At no cost to the client, our engineers will visit your site and review your current telecommunication setup and after discussions with the client will recommend complete solutions. Our installation technicians have extensive experience in the installation of all the systems we sell. At the completion of the installation, our project manager will be on-site to assist operators in processing live calls and to answer questions for the rest of the staff. The project manager is available to provide additional support at any time after the completion of the installation. All programming changes done in the first 30 days are non-conditional and made at no cost. TSC technicians regularly move our clients to alternate sites as their needs grow or change. We can move you across the street or across the country. Relax while we take care of all the details. Relocating an office can be a stressful experience. Not with TSC! Once we have determined your move dates, we will arrange for your dial tone to be moved and have your system moved and operational by the requested date. Investing in todays technology can be very confusing. When new technology is available, TSC will be able to show you the benefits of an upgrade to see if they fit your needs. Most telecommunication systems allow for simple software upgrades at minimal cost to access new features. TSC offers a 24/7 response to all our customers. Our technicians are available to respond to your problems or questions 24 hours a day, 7 days a week. TSC technicians will take the guess work out of all your low voltage wiring requirements. 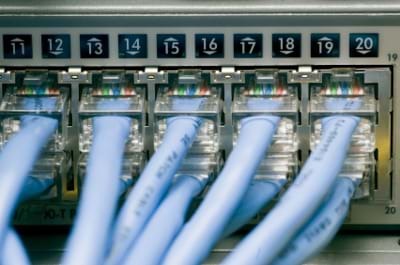 We provide the complete solution, from installing the cable to terminating patch panels, installing cat 5 modular jacks and certifying all cables. The technology experts at TSC can assist you in the creation, expansion and maintenance of all sizes of Local and Wide Area Networks. Watch productivity sore when all company team members and locations are communicating quickly and effectively. The internet has become an important part of our daily lives. Call TSC for a free analysis of your Internet needs. Your location will determine if you qualify for Fiber, Cable or DSL services. TSC will access a national database to qualify your location. TSC has linked up with "ConferTel" to provide to our customers the best value in teleconferencing. This conference service has no contractual obligation. We provide you with a toll free number and a access pin and you pay as you go. Call us for a FREE trial of this service.